Bembridge is a large village located on the most eastern point of the Isle of Wight, and with over three thousand residents, there are claims that it is the largest village in England. A luxurious part of the Isle of Wight, Bembridge is home to many beautiful bungalows and cottages and with its location close to the sandy beaches, makes an ideal place to have a holiday. Numerous boats, yachts and various pleasure craft are centred around the marina. The beach is backed by sand dunes and it's a pleasure to walk there in early summer to view the clumps of glowing yellow evening primrose that grows wild in large numbers. Lots of people walk their dogs on the beach and it's a very nice place to walk or sit but not recommended for traditional family seaside holidays. The best nearest beaches for family beach holidays are the Blue Flag beach at Yaverland and the sandy beach at Seaview, both a short drive away. The heart of the village is steeped in history and consists of a plethora of shops, bars, pubs and restaurants. Indulge in fresh crab, lobster and prawns purchased from 'The Best Crab Limited' in Bembridge to take back for dinner at your holiday cottage. . There is also a museum and a library here and makes for a wonderful morning stroll for you, your partner and friends. The Isle of Wight’s only windmill is also located in Bembridge, towards the western side of the village and is well worth the visit. The Windmill is a National Trust site and dates from around 1700. Climb to the top of the structure see how the wooden machinery was once used. 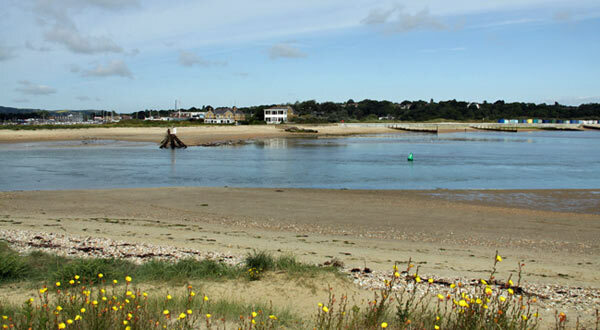 Bembridge is recommended for a family self-catering holiday, there is plenty to do, especially if you enjoy exploring, walking, cycling and the coast. The only remaining windmill on the Isle of Wight is on Bembridge High Street. Postal code: PO35 5SQ. This is managed by the National Trust and is an interesting place to visit, especially for National Trust members who do not have to pay an extra entry fee. Not far from Bembridge is the Lilliput Antique Doll and Toy Museum in Brading, about 10 minutes from the village. This museum is brilliant to take the kids to on a family day out, but is also generally interesting for anyone who just loves antiques. This cottage museum houses over two thousand exhibits of toys, the oldest dating back to an unbelievable 2000 BC, and features wonderful displays of cuddly teddy bears, rocking horses, dolls houses, trains and many more. Located in the village itself is the Bembridge Heritage Centre, which features brilliant displays of Bembridge’s rich and early history through paintings, maps, artefacts, medals, photographs and written descriptions. If staying in this delightful area, a visit here is a fascinating way to learn about the heritage of Bembridge and is a must-see. Renting a cottage in Bembridge will make a wonderful holiday for you and your family, as it the location could not be more perfect. By the sandy beaches, near to the bigger towns of the Isle of Wight and housing its own attractions and history, Bembridge is a lovely island village. Lots of people visit Bembridge. Do tell us what are the places to recommend.